Written on May 29, 2018 . Posted in Announcements + Updates, Updates from & for Faculty. The Graduate Hooding Ceremony will take place on Friday, June 1 at the First Baptist Church in America, 75 North Main Street. This will be a combined ceremony for all graduate departments. Doors will open at 1:00 pm, and the program begins at 1:30 pm and ends just before 3:00 pm. Stage party members, consisting of the Deans and President Somerson, may arrive as early as 12:30 pm. Line up will take place in the lower level of the church at 1:15 pm. Bottled water will be available there. Graduate Program Directors will not process with the stage party. Instead, please make your way to the front of the church where you will find your reserved seats. Volunteers will be onsite to assist. Please be seated by no later than 1:00 pm. *Faculty are not required to attend Grad Hooding, but may attend and sit in the general seating area if they choose. GPDs and Stage Party please arrive at the church in your robes. 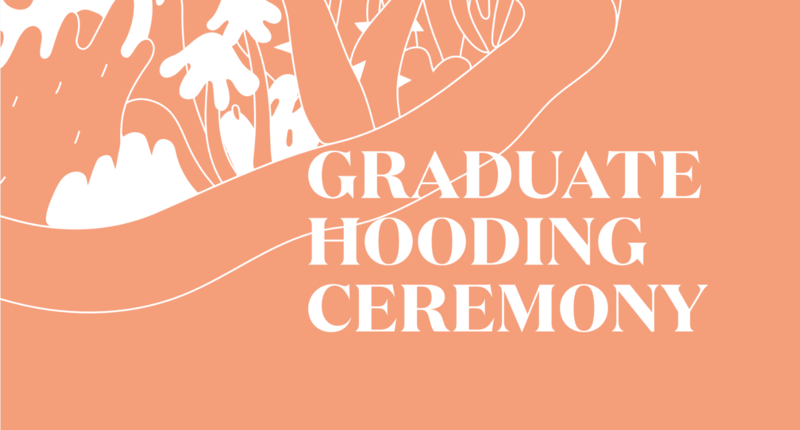 Graduate Hooding participants who ordered robes from Oak Hall through Academic Affairs can pick up their robes beginning at 9:30 am in the lower level of the church. Spare caps and gowns will be available onsite for anyone who was unable to place an order in advance. The stage party will enter in one line and proceed to the first row of the center section of the pews, which will be marked “Reserved for Stage Party”. Students will approach the stage with their hoods in hand. They will hand the hoods to their GPD and turn around so that the GPD may place the hoods on the students. You will shake hands and the students will return to their seats. Assistance will be provided. Departmental receptions will follow the hooding ceremony, beginning at 3:00 pm. 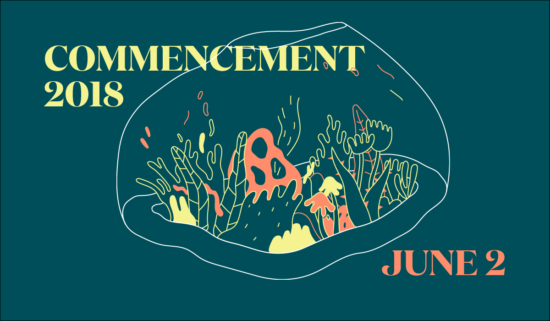 RISD’s 135th Commencement will take place on Saturday, June 2nd, 2018 at the Rhode Island Convention Center. Below please find important information on arrival time, faculty robing, lineup and procession. Please review this information and attached diagrams carefully in advance. You are welcome to arrive as early as 8:30 am on Saturday, June 2nd but no later than 9:30 am. A light breakfast will be available. Faculty robing will take place in the Omni Waterplace Ballroom located on the second floor of the Omni Hotel (inside the connector between the hotel and the Convention Center, same location used for 2017 robing). You can reach the Waterplace Ballroom from either the hotel or the Convention Center – there will be wayfinding signs. All full-time faculty are required to attend. Upon arrival please proceed to the faculty sign-in table to check in and obtain your robe. Please remember to check-in at the faculty sign-in table even if you bring your own robe so as to assist us with head-count and line-up. Spare robes will be available onsite in limited quantity. The doors to the Waterplace Ballroom will be locked for the duration of the ceremony. A RISD Public Safety Officer will be onsite the entire time to ensure the security of any belongings you leave behind, as well as provide access should anyone need to depart early. Lineup will begin at 10:00 am. The faculty will line up behind the center stage party, in two lines, with the Department Heads and Graduate Program Directors at the head of the right line. **Highly recommended for new faculty: Academic Affairs staff will host a full walk-through on Friday, June 1st, 9:00 am beginning at the Waterplace Ballroom at the Omni hotel (where sign-in and robing will take place); all faculty are welcome to attend. Following the Commencement ceremony, a champagne toast will be held in the Rhode Island Convention Center’s lobby directly outside where the ceremony is held. Please be sure to return to the Omni’s Waterplace Ballroom to return your regalia and collect any belongings before returning to the Convention Center for the toast as the Waterplace Ballroom is booked directly after RISD for another event. Please note that the doors to the exhibit hall where Commencement is being held will close promptly at 10:15 am to allow the stage party + faculty + student processions to pass. If you have any guests who will be seated in the audience, please ensure they make their way to their seats by 10:15 am. Faculty processional and line-up diagrams can be found HERE for your reference.